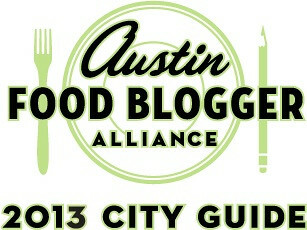 2013 Austin City Guide: East Side Restaurants | bake me away! 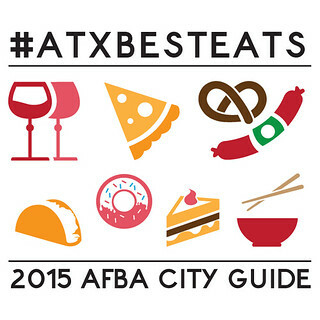 While I don’t usually write review posts, this is my contribution to the 2013 AFBA City Guide. 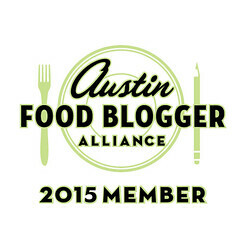 If you are heading to Austin this year or live here and want to find some new places to eat, please check it out! A year and a half ago, I moved from San Antonio to the east side of Austin. I didn’t know much about this part of town, but it was a successful Craigslist match that led me here. Since then, I’ve grown to love the area. While the USDA labels parts of it as a food desert, there sure are a lot of good restaurants over here, minus the parking meters you find on the other side of the highway. The (brick and mortar) restaurants in this guide are east of I-35, between Cesar Chavez and 51st Street. Most are located on 6th, 7th, 11th, and Manor, west of Airport. Having never been to France, I felt like Blue Dahlia provides an atmosphere similar to what one might experience at a bistro there. They even have a strolling accordion player! If you’re into eating breakfast for dinner, you can do so here, even if you eat gluten-free. 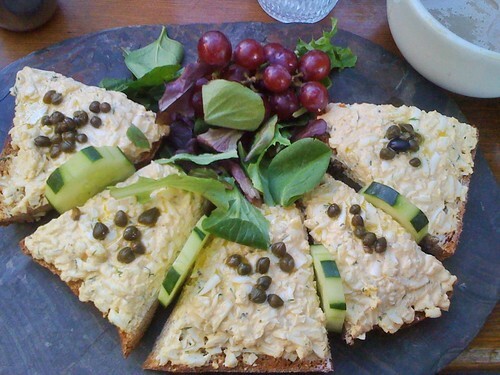 They also have meat and cheese platters, tartines (I love the egg salad! ), and heartier dinner plates. I just recently tried this place after a few recommendations! At the corner of E. 6th and Waller, this cafe serves up fresh Argentinean fare in a chic, yet warm environment. 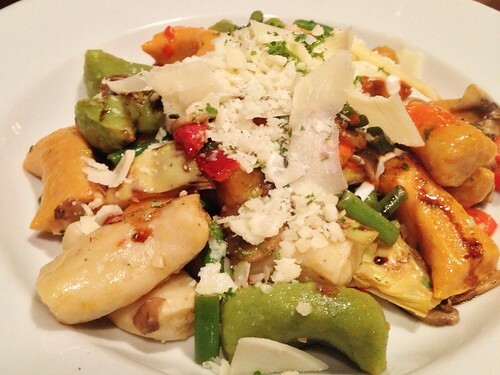 Their lauded Quattro Gnocchi is fantastic and keeps you interested with each bite. 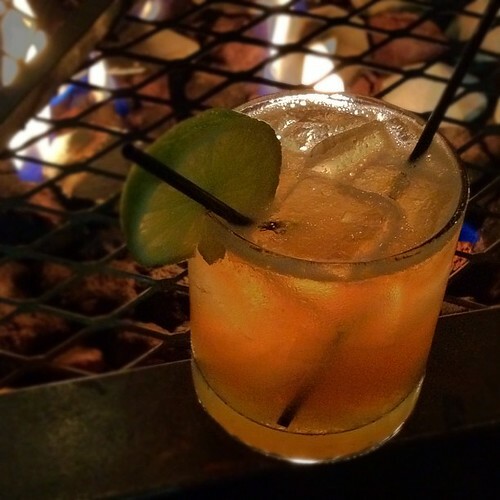 Beverage-wise, look for the South American cocktail list, and the extensive wine menu is hard to miss. Nor’easter by the fire pit. This restaurant was modeled after Contigo Ranch in south Texas, so it has a pleasantly rustic feel, even though it’s not far from downtown. It’s one of my favorite spots in town, and this video captures its essence perfectly. They have a rather meat-heavy menu, but I’m always able to find something, like their awesome cauliflower gratin. For those planning their feast through Austin, know that they open at 5pm every day except for brunch at 10:30am on Sundays. Read about their brunch and cocktails in guides by A Taste of Koko and Metropo Chris, respectively. Opened by the East Side Showroom folks just about a year ago, Hillside offers farm-fresh fare in a visually appealing atmosphere. In addition to interesting homemade sodas, boozy punch, and cocktails, great espresso drinks are available. If you’re into oysters, go on a Monday night to order them at half-price. Also, the late-risers might like to know that their weekend brunch goes until 4pm. Keep up with their daily specials via their Facebook page. Hoover’s has been serving up “made-from-scratch Texas cooking” for over 15 years on the east side. This includes offerings such as barbecue, chicken fried steak, and catfish. I enjoy their mac ‘n cheese, but was most impressed with their homemade garlic vinaigrette and buttermilk ranch dressing! Cenote (seh-noh-tay) is a relatively new establishment, situated in a darling old house that’s been whimsically updated. They have a kitchen serving up food all day throughout the week, though I’ve only been for breakfast. For those not interested in espresso or pour-over coffee, they offer mimosas as well as beer and wine. Feel free to bring your dog and sit at one of the tables in the yard. This cafe’s sign boasts REAL FOOD and it’s real good. From breakfast tacos and sandwiches, to burgers, salads, and customizable smoothies, there’s a little something for everyone. I am fond of the migas tacos! 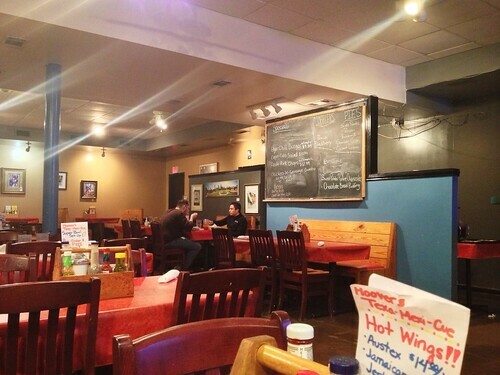 There is ample seating both inside and out, and you can even catch some live music here. And yes, they serve beer and wine here as well. Yes, this is that new, package-free micro-grocer on Manor Road. And yes, you can eat here at their outdoor picnic tables! They make in-house sandwiches, salads, and such, and also carry locally-made goodies from places like Cake and Spoon, mmmpanadas, and East Side Pies. Beer, kombucha, and iced coffee are available on tap here. See their facebook page for daily offerings, specials, and events. If you eat meat, this is an important place to seek out. I always hear about how long people wait in line in the morning to eat at Franklin’s for lunch (they close when they run out of meat), but I have yet to hear anyone say it wasn’t worth it. Read about their food in addition to other in-town barbecue spots in this super comprehensive guide from Full and Content! When I asked the other AFBA bloggers about which east side restaurants were their favorites, many mentioned Takoba, but a few disagreed. Some said that they preferred it for brunch or happy hour, so I’ll be sure to at least check it out during one of those times. 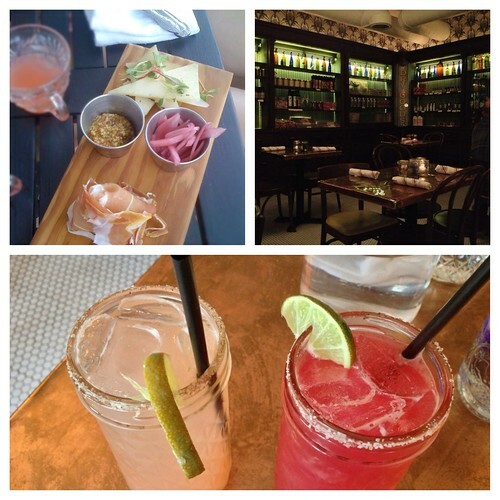 Check out Mad Betty‘s review of their happy hour, which looks to be awesome! Papi Tino’s is very good!! As long as it’s not in the dead of summer since it’s in an old house with very little A/C! Great list ~ well done! Blue Dahlia is a favorite of mine too! Counter Culture is a great spot if you are looking for something healthy too.